I did not cook this year for Thanksgiving, though I normally do, so I went to mom and dad's instead since Ben was out of town. At any rate, I use those browning bags in lieu of tin foil on my birds. Have you ever used those? IMO, better than foil at keeping moisture in, and getting the flavors to percolate through the whole bird. I'm excited for Christmas Day Dinner™ now, because I will cook a full spread then. It's gonna be yum-o! I didn't mean to imply that your turkey was dry!! I should just shut up today! lol .. apparently I'm having communication issues, because this is not the first time today that I've misspoke. Ahaha no, that's not it at all. The secret of a moist turkey is to leave it cooling for at least 15 minutes after you take it out of the oven. Bag or no bag, foil or no foil. Because, once the outside is cooked, the juices are locked in still, a friend of mine says that if you cook the first half of the time with the turkey upside down, it gets even more moist... I have yet to try that. But I'll tell you what, the best birds and other roasts in general were done by my mom and grandma with roasting pans that had very high sides that went above the side of the bird you were cooking (mostly chickens, geese and ducks, though small turkeys were also used sometimes). In that case, as long as the heat wasn't coming from a close source, there was no need for any foil/bag/whatnot. It came out outstanding. I need to find a roasting pan like that. Now I got hungry again... I need to cook another bird. Or is it too soon? When my granny died, there were two things of hers I all but demanded to have: 1) One piece of her Christmas Village (small, ceramic churches, houses, general stores, etc that wre lit from the inside) which I got, and 2) Her roaster which I did NOT get. Mom got it. She says I can have it when she dies. YES those old roasters are the best. Well ok, I suppose we do sometimes do chestnuts and potatoes on bonfire night. cold the charcoal wouldn't cook the meat. That's when I switched to gas. 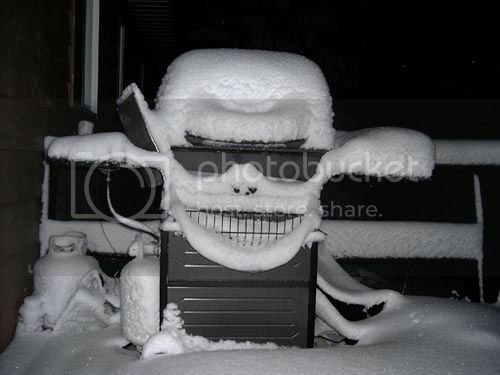 That's a wicked looking grill. IT IS ONLY $199 (thousand bux)!! CHEEP CHEEP CHEEP!!! GIMME IT MAH FRENS!! MERRY HAPPY! I THANK YOU! Hmm... not so sure, doesn't that only do Close Encounters alien bleep bleep noises? May I interest you in a 250U Eurorack system instead? About the same price. Hans Zimmer or deadmau5 style studio enclosure not included. 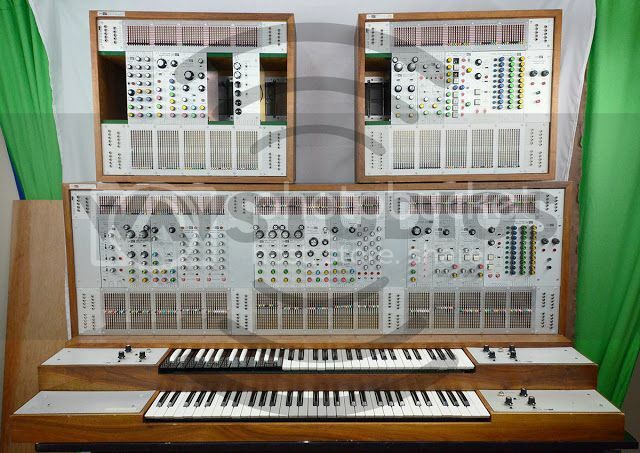 $200k for an old broken synth. Happy Holidays, you all! I hope you're holidays are filled with family, frens, and warm fuzzies. Warm fuzzies like this one. Minions. They're not kids, they're minions. That Santa avatar is the best evah. Vacation's over. I haz to work nao. WAHHHHHHHHHHHH! !